Production lines falling silent, a slump in global trade and lower demand for power: the economic crisis has already done more to reduce carbon emissions than the past 10 years of climate policy. But don’t bank on the recession to save the planet, or to redistribute responsibility for tackling climate change more justly. In fact, the carbon market approach that is intended to encourage polluters to change their ways is more likely to throw them a lifeline in the short term, and contribute to a further financial collapse in the longer term. No wonder, then, that the European Climate Exchange in the City of London is the target for the next Camp for Climate Action on 1 April. 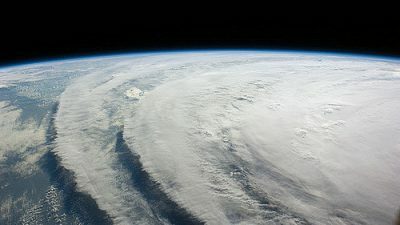 Climate change is ‘the greatest market failure the world has ever seen’, according to Sir Nicholas Stern, lead author of the British government’s influential review, The Economics of Climate Change. Carbon markets are supposed to address that failure. The idea is that governments give out a limited number of permits to pollute; the scarcity of such permits should encourage their price to rise; and the resulting additional cost to industry and power producers should then encourage them to pollute less. It is a neat-sounding theory, but the practice is considerably messier. 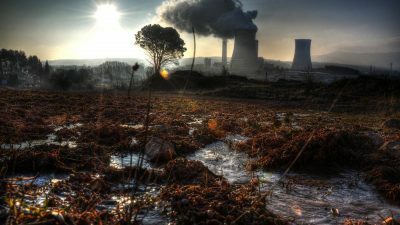 In the first phase of the European Union’s emissions trading scheme (EU ETS), which is the world’s largest carbon market, the ‘cap’ on emissions was set so high – as a result of industry lobbying – that it failed to cap anything. Prices collapsed, and no pollution was reduced. In the second phase of the scheme, which began in 2008, prices rose to around EUR30 per ‘ton of CO2 equivalent’ emissions, but have since crashed to around one-third of that level. The explanation is relatively simple. Allocations were made on the assumption that European economies would keep growing, but the recession has reduced output and power consumption, leaving companies with a surplus of permits. Since these were mainly given out for free, the net effect is directly opposite to the scheme’s intention: polluting industries are offered a lifeline by cashing in their unwanted permits, while the ‘price signal’ that is meant to change their polluting ways is rendered largely meaningless. The failure of carbon markets at a time of general economic turmoil is perhaps unsurprising – a market-based corrective to market failure is hardly likely to go against the grain of current trends. But the failings of carbon trading run deeper, and bear a disturbing resemblance to the conditions that triggered the financial crisis in the first place. The ‘carbon’ that is traded is in fact a euphemism for a range of greenhouse gases produced in very different ways. The uncertainties involved in comparing these processes are overlooked in order to ensure that a single commodity can be constructed and exchanged. It doesn’t take a climate scientist to see that burning more coal and oil is not eliminated by building more hydro-electric dams or capturing the methane in coal mines. Funding the latter to ‘cancel out’ the former can end up subsidising the very industries that need to change if we are to avoid catastrophic climate change. As the market matures, even this set of equivalences becomes harder to measure. The EU ETS is now witnessing the development of more complex carbon market products, which package together credits from several installations, then slice these up and resell them. In essence, this is the same structure that brought the derivatives market to its knees, and the same problem: carbon markets involve the selling of a product that has no clear underlying asset – fertile conditions for the creation of a new ‘bubble’. Not only do traders not know what they are selling, but it becomes increasingly meaningless to talk about ’emissions reductions’ in this context, since what is reduced on paper is so far removed from any process of any measurable change in industrial practice or energy production. The integrity of the EU ETS has been further watered down by allowing ‘offset’ credits from the UN’s clean development mechanism (CDM) to be traded within it, contradicting its basic purpose. The ETS, as a ‘cap and trade’ scheme, is meant to limit the availability of pollution permits, while the offsets approach is a licence to print new ones. One system applies a cap and the other lifts it. Ultimately, the whole approach distracts from effective solutions – trapping us within a framework that sees the climate problem in primarily financial terms, restricting our horizons to ’emissions reductions’ while sidestepping the key questions of how and when these are made. 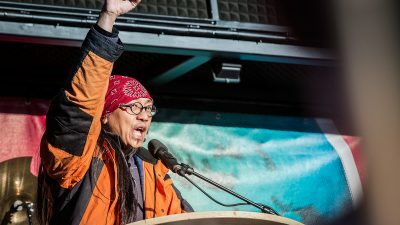 As Larry Lohmann of the Corner House research and advocacy group explains, carbon trading ‘disembeds the climate problem from the challenge of initiating a new historical pathway to overcome current dependence on fossil fuels, which are by far the major contributor to human-caused climate change’. So what should we do instead? In the face of failing carbon markets, talk of a Green New Deal (modelled on President Roosevelt’s ‘New Deal’ package for reviving the US economy in the 1930s) might seem to offer a welcome alternative. Advocates of such schemes, such as the New Economics Foundation, suggest that massive investment in renewable energy projects could stimulate renewed economic growth as well as providing thousands of new ‘green collar’ jobs. But most actual stimulus packages so far have not followed this model. The car industry bailout, which in the UK alone could be worth up to £2.3 billion in loans, is one obvious case in point. Around £1 billion of this will come in the form of soft loans from the European Investment Bank (EIB) – expenditure that was earmarked for ‘lower carbon initiatives’. At present, it remains unclear whether this means any more than simply obeying new EU laws on fuel efficiency – which were anyway significantly watered down as a result of a long lobbying campaign by the car industry. The EIB, which is Europe’s main vehicle for such bailouts, is also ‘alone among international financial institutions in having no binding operational standards, nor an independent accountability mechanism for affected people,’ says Greig Aitken of CEE Bankwatch. In fact, the EIB lacks any clear environmental or social safeguards, and it bankrolled fossil fuel extraction across the globe to the tune of EUR3 billion in 2007 alone. Elsewhere, the United Nations Environment Programme has announced what it calls a ‘Global Green New Deal’. This recommends, among other things, investment in biofuels and the channelling of money through the World Bank’s controversial clean investment funds, whose remit includes subsidising new coal plants and large-scale hydroelectric dams. Such schemes might seem a long way from the good intentions of the more progressive Green New Deal advocates, but they do flag up some of the problems of advocating for massive public investment in a context of unaccountable global financial institutions. Even where ‘state’ expenditure is envisaged it is often channelled through these unaccountable bodies, and accompanied by requirements to partner with the private sector. There is a further question, too, about how and which ‘green’ technologies are being promoted. Public funding for research on new energy technologies remains lower in real terms than in the 1970s, while public research agendas are today set by corporate ‘stakeholders’ whose leading concern – as witnessed in the case of biofuels and ‘carbon capture and storage’ – is to create mildly greener versions of their same basic business-as-usual approaches.